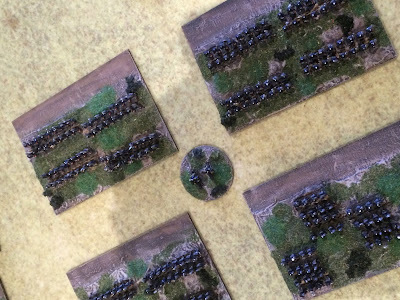 So I bet you were expecting to see my new 18mm AB army, but first I thought I would show you something different. Some weeks ago I mentioned that no one knows the madness of war gamer with money to spend. I am actually fairly careful with my wargaming expenditures, but the sale of more than half of 28mm Napoleonics left me with quite a bit of money in my paypal account, the great part of it is being spend on commissioning the 18mm replacement army, but there was some left. I have never played a grand tactical Napoleonic game but when Blucher came along I was tempted. The whole thought of being able to use a card as a blind until revealed was very attractive to my wargaming heart. 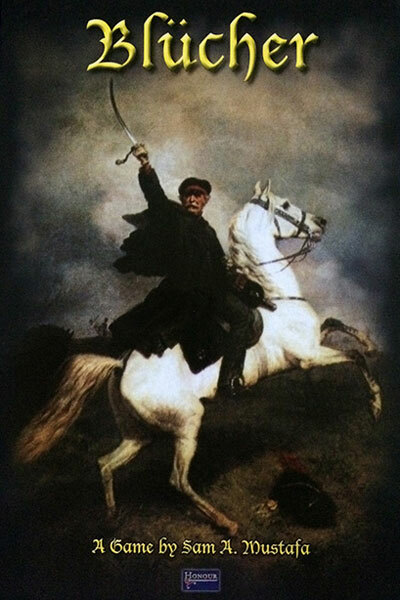 And those pictures of those little troops on the cards was quite attractive. Great idea is it not, but it needs figures. So I set about commissioning painters in the UK to paint some 6mm Bacchus figures, these seemed to be well priced and came in usable strips unlike Adler. I also noticed that painting services appeared to favour these figures over the other choices. I am not sure how much I paid per figure but it seemed reasonable and I felt that I could get pretty good sized armies on the table for not too much. I still have some French and British reinforcements on the way (one painter appeared to lose their way!) 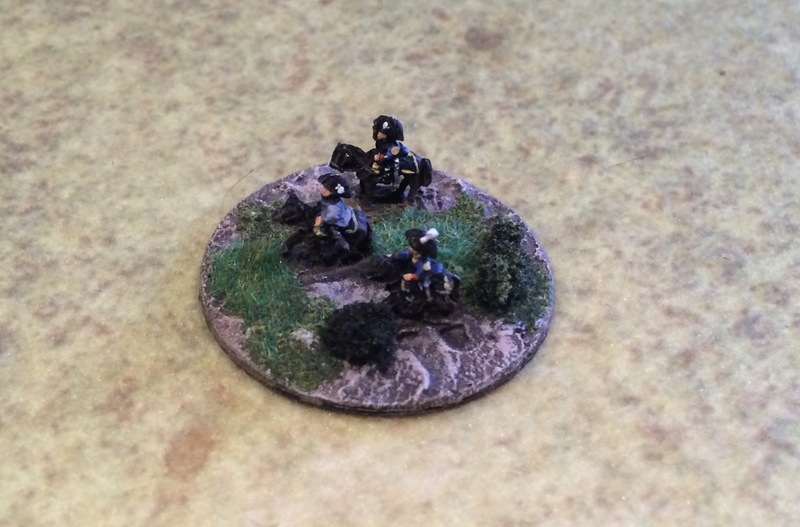 and have a British army on hand but not yet based. Going against the tide, I decided to base my troops not on 60mm bases but on large card sized bases from Sally 4th. Not being able to use the cards, that come with the rulebook, as blinds just ruined the whole concept for me. But anyway enough talk let us post some figures. 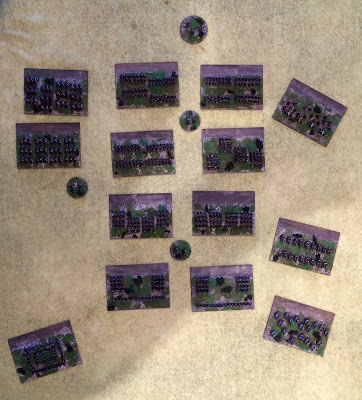 Each base represents a brigade of 4 to 6 battalions, so here we have 2 divisions of infantry, there are also 4 units of cavalry of 6-12 squadrons each and 1 regiment of artillery with 18-24 guns. A few command bases have also been put together. 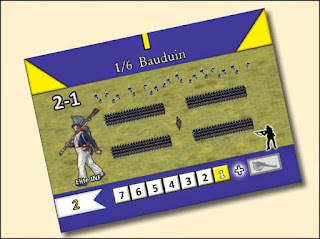 An infantry division partially in column but also in ordre mixte. I liked the ability to put different types of formations on each base. This is purely ornamental and has no effect on game play. Light cavalry regiments, half the figures (18) of a heavy cavalry base. Regimental Artillery base, more cannon would have been nice. 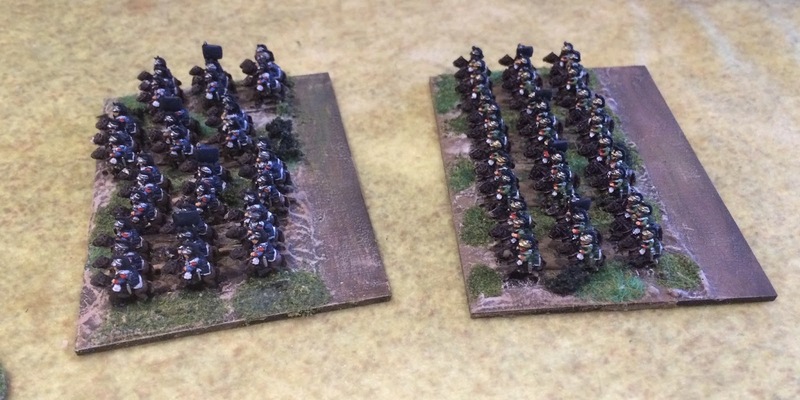 Heavy Cavalry with 36 figures per base. They are tiny, I am happy I did not have to paint them. I thought the painter did quite a good job. I plan to have around 25 bases per army and as you can see I have left the rear of the bases open, as I still have not decided how I am going to designate the Order of Battle as well as damage. Let us hope that I can find someone to play, the game has what looks like a a very attractive campaign system which is really my favoured gaming pursuit. Very nice John! I realy like how these are set up. Well I am hoping once they are done, I can attract you into a campaign. 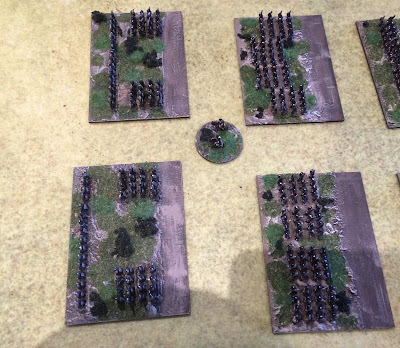 Your 6mm Napoleonics look terrific! 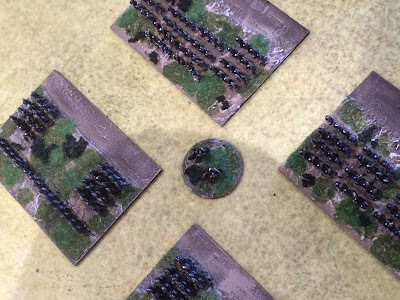 Good work on the basing arrangements too. Awesome! They look great. Certainly my favourite Nap scale, along with 28mm. 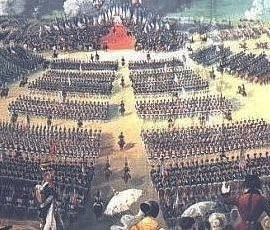 Well maybe it is time for you to drag those Adler Austrians out, I have the cards! While 6mm aren't for me, they do look good the way they are intended to be used, en masse. Campaign level seems a perfect use for them. 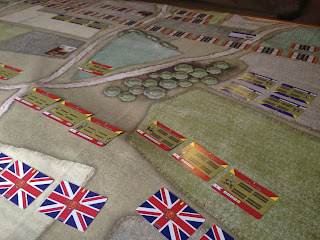 Did you see this from Robert in Spain about a 3 table, multiplayer campaign using Blucher, inspired by the Spring 1809 Campaign in Bavaria? Thanks Peter, I will have a look. Great looking figures John, love the look of the square. Thank you Tamsin, my first 6mm! 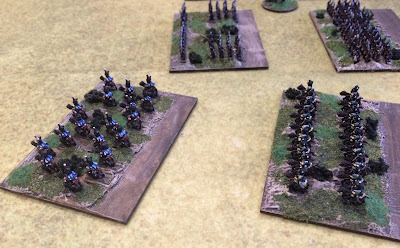 Blucher looks ace, some cracking game videos on YouTube. I really like what you have done with the 6mm. 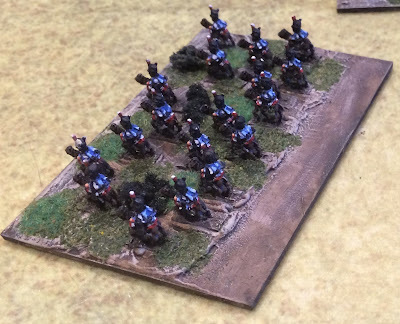 I have always wanted to do this but had no idea of basing them or if anyone would join me on my adventure. I will have to look up those videos. Thanks. Great looking bases those, perfect for use on game maps such as yours. Thanks Lee. 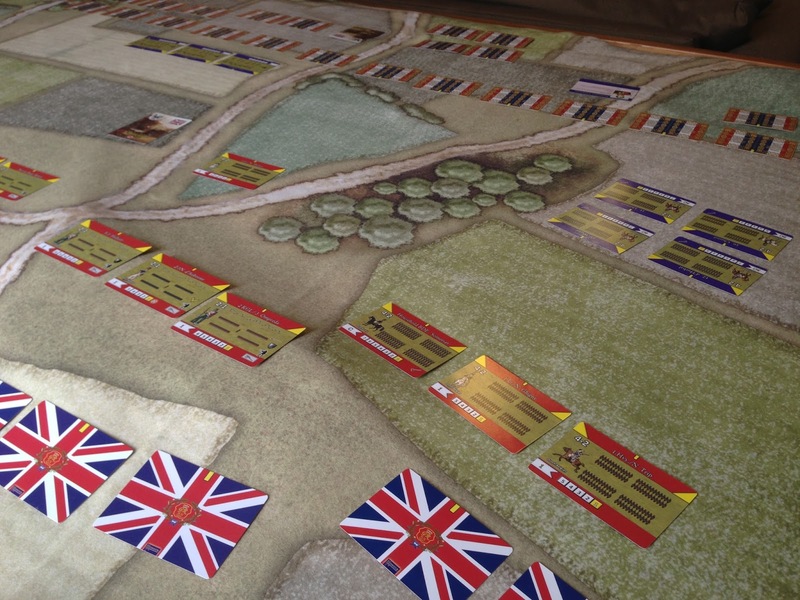 The game map photo is from the Cigarbox site. I think I might go with more 3D terrain. 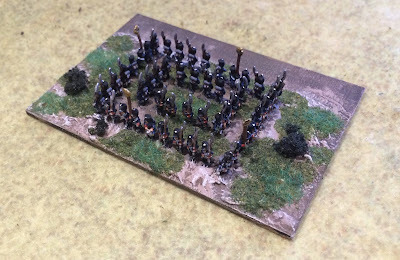 Thanks Curt, it is fun doing them but a lot of work, I still have a British army to base as well as several reinforcement packs. Now to think about terrain!